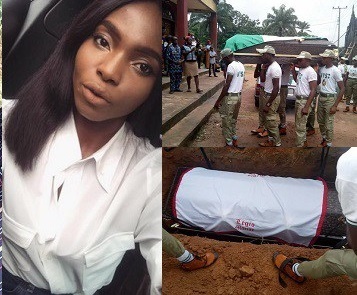 Home > TRAGEDY > Female Corper Shot Dead In Abuja, Linda Angela Igwetu Buried In Anambra State |! Female Corper Shot Dead In Abuja, Linda Angela Igwetu Buried In Anambra State |! 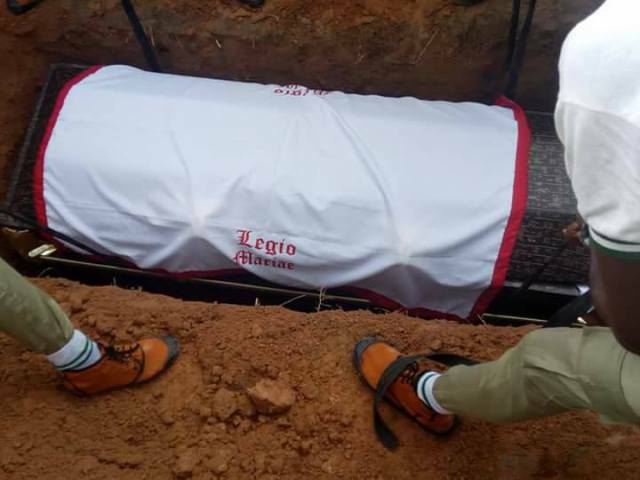 Miss Linda Angela Igwetu, the female corper shot dead in Abuja, buried amidst tears. 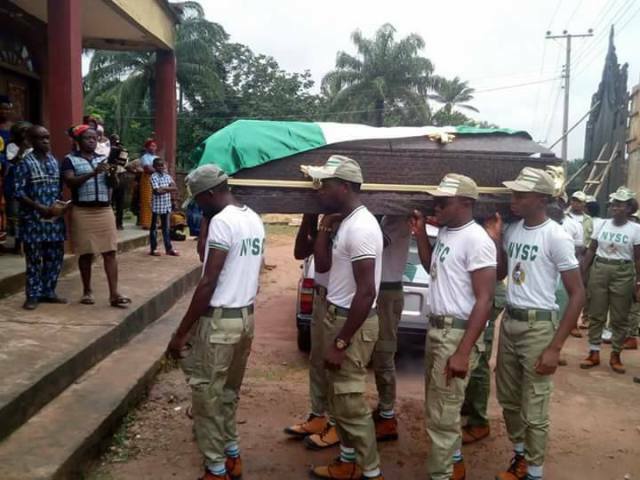 The female member of the National Youth Service Corps, NYSC who was shot by a police officer while on her way home with her friends in Abuja, has been laid to rest. 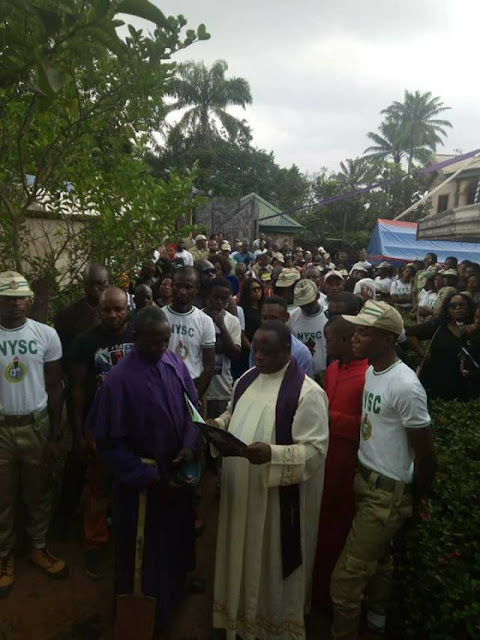 The late NYSC member who was killed a day before her Passing Out Parade, was buried at her hometown in Ukpor, Nnewi South Local government area of Anambra state. The sad incident occurred around Cedi Plaza in Central Area on July 4th at about 3:00 a.m.
“She relaxed at home and later said her friends had come to pick her up for them to go and hang out,” she said. The ill-fated merrymaking was to celebrate their successful completion of the one-year youth service, her sister said. Her batch was slated to pass out tomorrow, she added. The hospital she was rushed to in Abuja was later accused of delaying her treatment due to lack of deposit from her friends. This they denied and claimed the late Linda was immediately attended to, although she had lost a lot of blood before arrival at the hospital.